EMBARK ON A JOURNEY OF DISCOVERY! Viking®, The World’s Leading River Cruise Line®, offers destination-focused itineraries on the great rivers of Europe, Russia, Asia and Egypt. Enjoy exciting cities, culturally enriching experiences, regional cuisine and spacious accommodations onboard elegant, state-of-the-art ships. Plus, with Viking Inclusive Value, just about everything is covered—port charges, Wi-Fi, meals, onboard activities and shore excursions—so all you have to do is relax and enjoy a great journey. 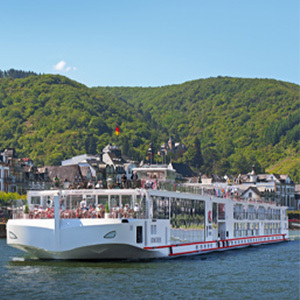 To plan your European river cruise, contact us today!